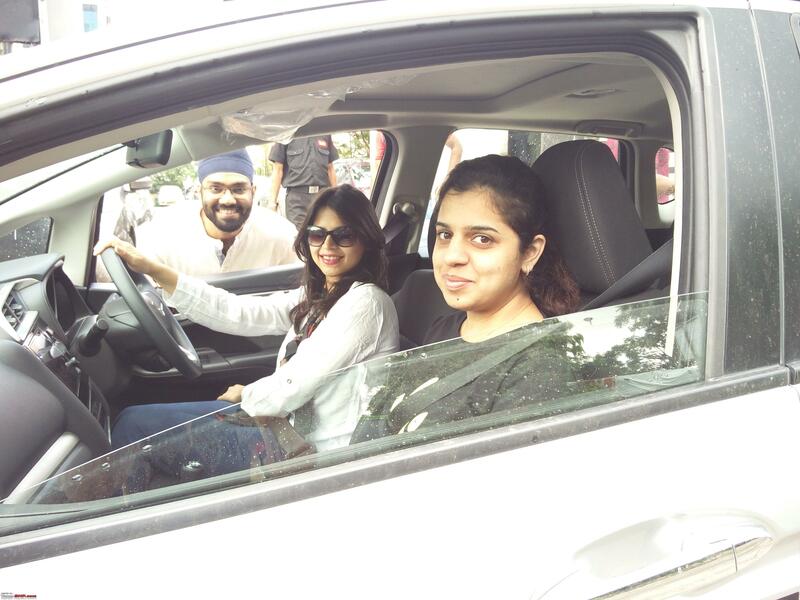 A few of us were recently invited by Honda to test drive the newly launched WR-V, the "WOW RV" in Honda marketing parlance. Honda is pitching it as a compact SUV, the most rapidly increasing market segment in India. We drove both the 1.2 petrol and the brilliant 1.5 diesel variants. 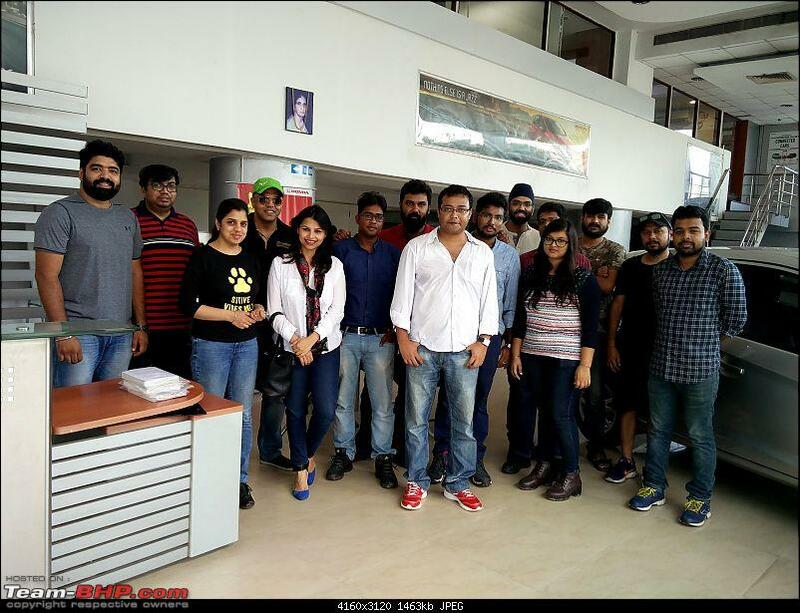 Team-bhpian Teesta along with bhpian navsjab's wife Bhavneet, photobombed by navsjab! 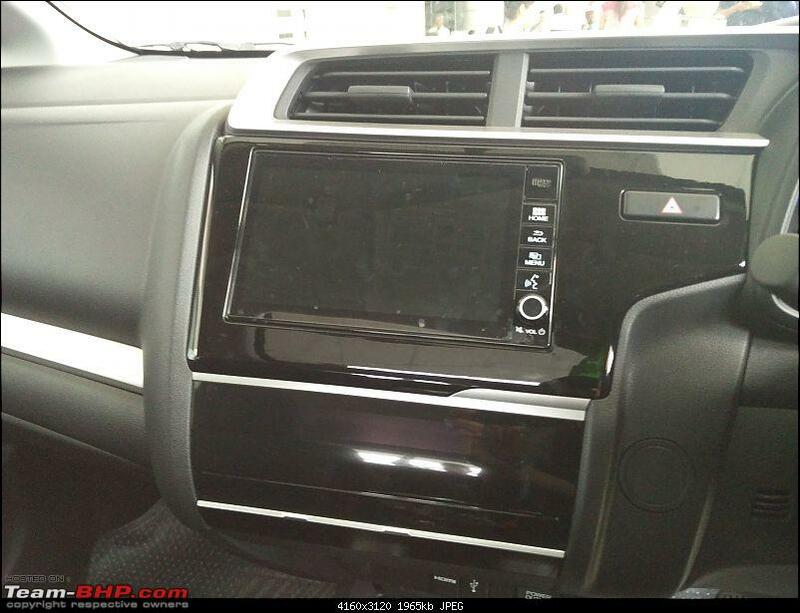 Big touchscreen unit with piano finish all around. I am not a fan of large displays as I find them very distracting while driving. But as I understand, it is one of the features that the current generation of urban people are looking for while putting in money on a vehicle! Quite a big boot space for a sub 4 meter car. Space utilisation is superb in the WR-V.
People have complained about the ergonomics in the WR-V but I found them spot on for my style of driving. 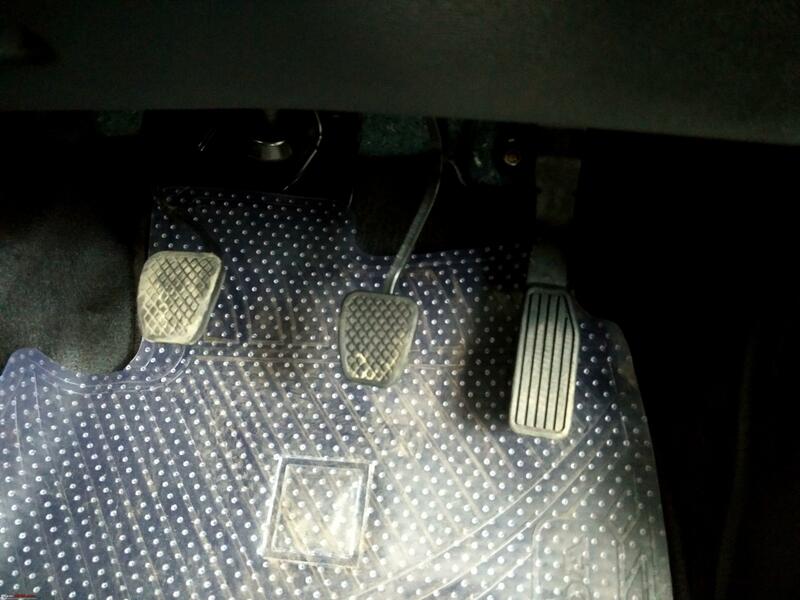 Also the pedal postions are superb, very easy to do heel and toe (ref: https://en.wikipedia.org/wiki/Heel-and-toe). Dead pedal is sorely missing. 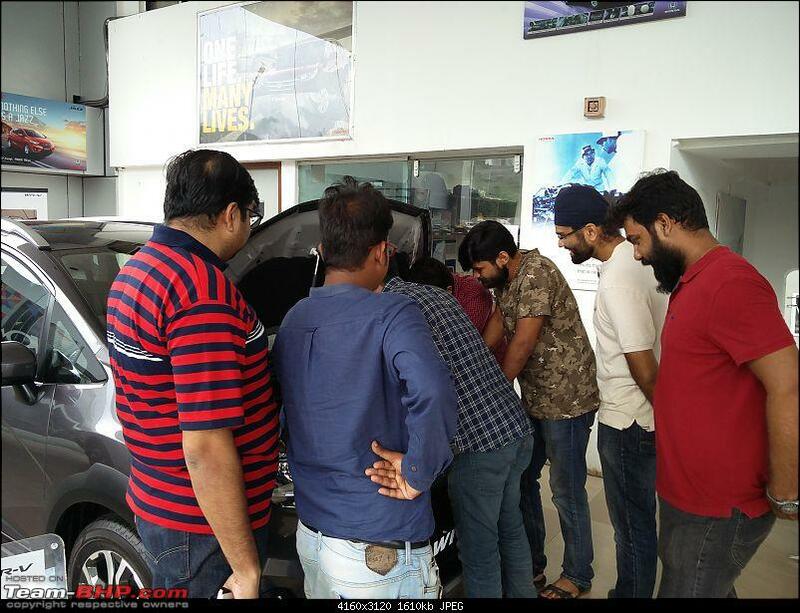 A typical scene when a bunch of petrolheads are invited! Coming to the driving experience, the performance of the 1.2 petrol was average. But I think that it was due to the clutch slipping on the demo car. Need to drive a vehicle in a better shape to pass judgement. I love free revving petrols and this one is no different. I was able to go till 6500 rpms before up-shifting and sound from the engine was nice. The progress is quite rapid if the rpms can be kept above 4500. But that is not possible in day to day city driving. The diesel on the other hand has superb drivability and is clearly the winner between the two, considering its urban utility. The steering also feels heavier on the diesel variant due to more weight at the front. 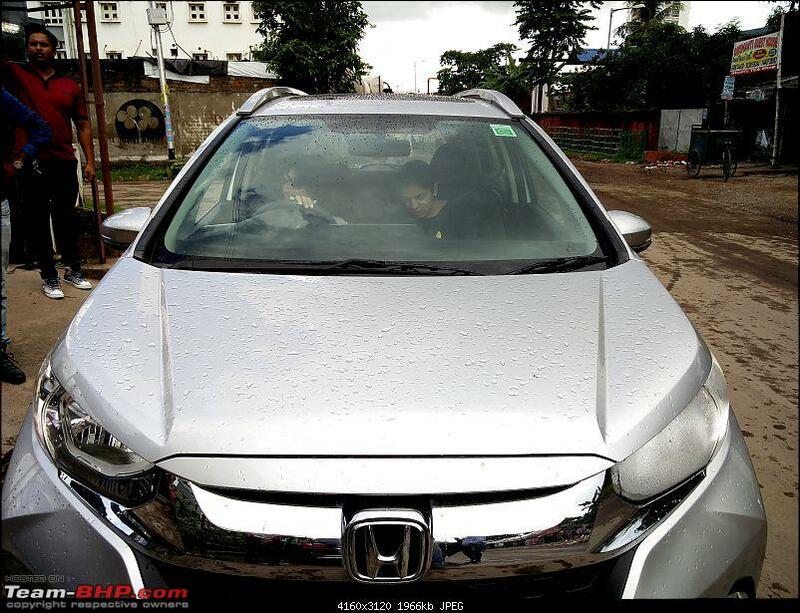 Honda has done a superb job on the ride quality. It was better than any Honda I have previously driven and far better than Ecosport, one of its main competitors. I completed 5000kms on my WR-V, it has been a happy experience so far. I am really loving this smooth and silent 1.2L i-VTEC engine, even the monthly average fuel efficiency has been great at 15kmpl. Last edited by deehunk : 27th September 2017 at 20:25. WR-V September numbers = 4834. Very impressive. For comparison Ford sold 4934 units of Ecosport. 1. The car is spacious. Beats every car in its segment hands down. Front seats are accommodating and super comfortable. 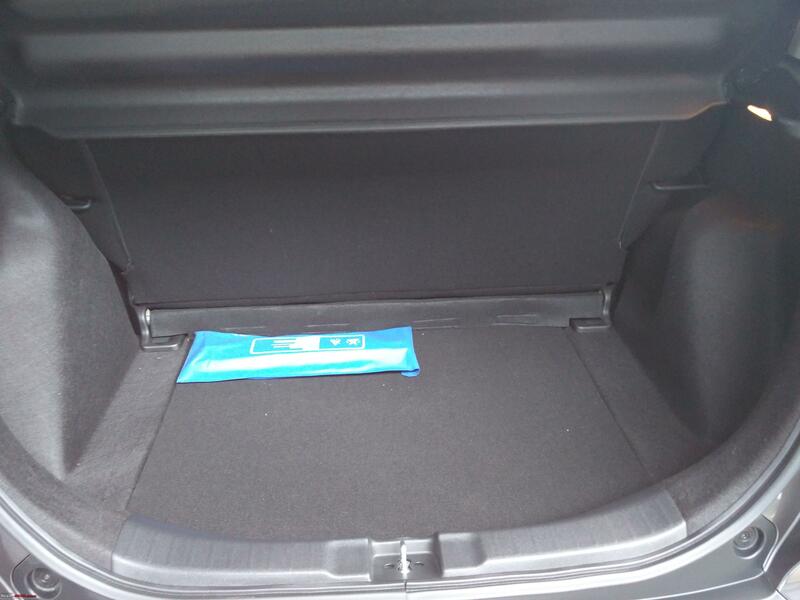 The rear seat is equally great and offers best in segment leg and head room. 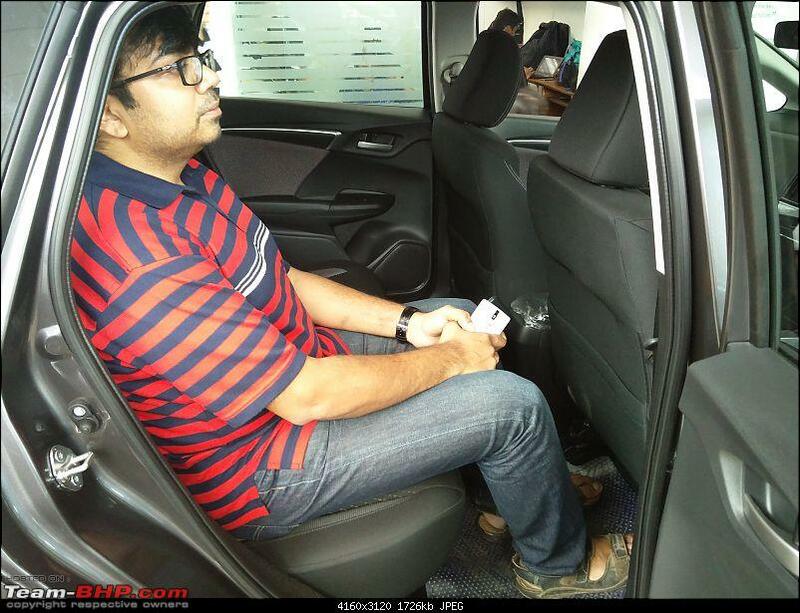 I was taken aback with the sheer amount of space inside that car. The driver armrest wasn't very comfortable though. The design is unconventional and doesn't really offer much support to your left arm. 2. Build quality is strictly average. The interior plastic quality disappointed us. The TD car was 8k kms old and was rattling all over. Maybe because of the poor maintanence and being a TD car. It just didn't give us that premium feel. 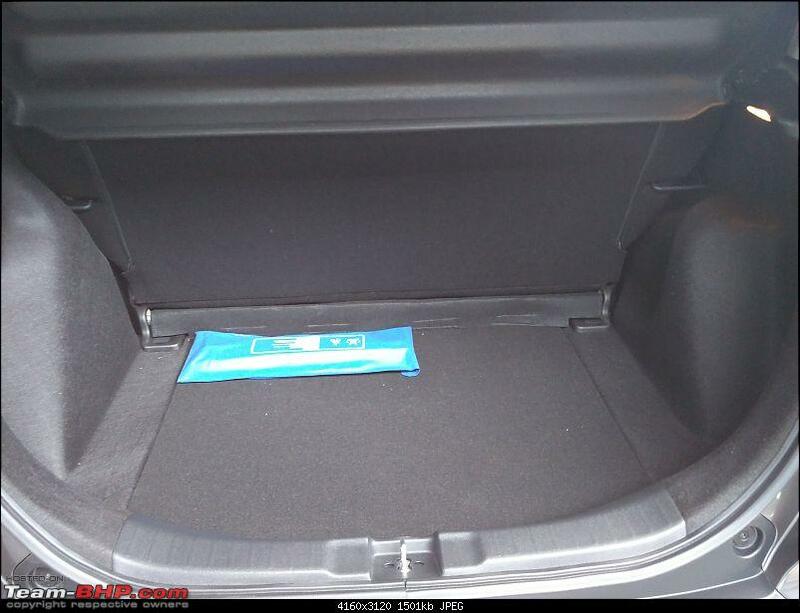 Hyundai offers far better interior quality. Such a shame it is because Honda once, used to be known for its quality products, which isn't the case anymore unfortunately. 3. Drivability, suprisingly for me, was very good for a petrol crossover. I had this perception that it would be slow and sluggish but the car responded pretty solid in all possible driving conditions with 4 adults and AC on auto mode. We didn't find engine to be weak, particularly, in low RPMs. It revved freely without any issues. Infact the available torque in low gears was more than sufficient to drive. Light clutch and steering wheel helped in comfortable driving. The gearbox, though, was a little fussy which didn't always slot as expected. But overall, we came out very impressed in terms of how the car drove. 1. I was taken aback by the sheer amount of space inside that car. 2. Build quality is strictly average. The interior plastic quality disappointed us. 3. I had this perception that it would be slow and sluggish but the car responded pretty solid in all possible driving conditions with 4 adults and AC on auto mode. Light clutch and steering wheel helped in comfortable driving. The gearbox, though, was a little fussy which didn't always slot as expected. But overall, we came out very impressed in terms of how the car drove. 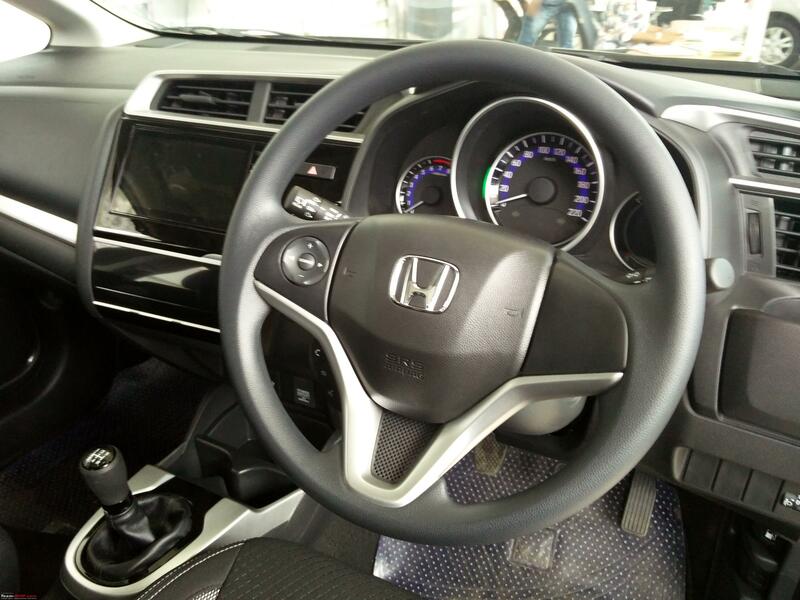 The surprising factor is the space and seating comfort, credit to Honda's design team. The interior plastic quality is better than the market leader, even the exterior claddings are of high quality. One can easily drive the car in higher gears at low speeds, it is torquey too as I found out during my recent drive on ghat roads. 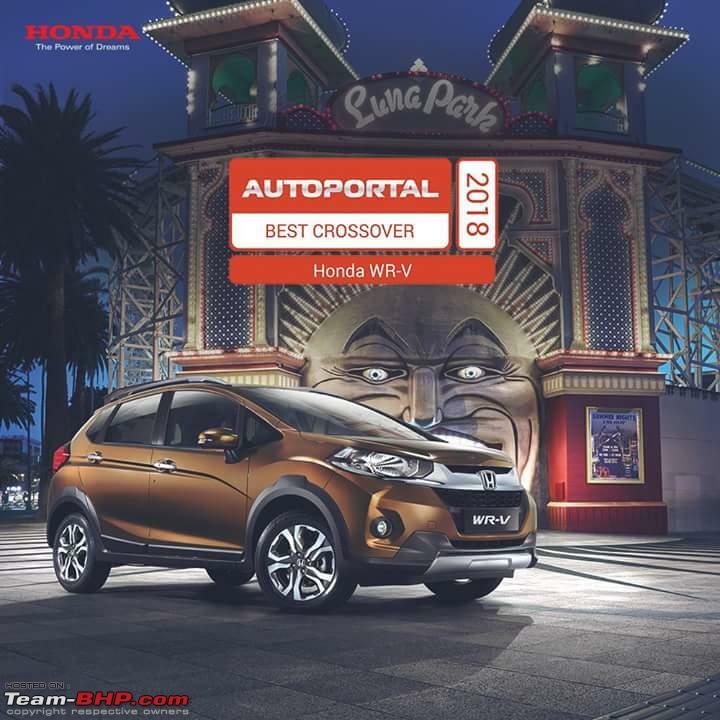 Honda has never spoken about the gearbox used in WR-V, but there are claims that it is from the BR-V.
My father had taken over his WRV in June this year and his choice of moving to a Honda was primarily driven by my ownership of the Brio. 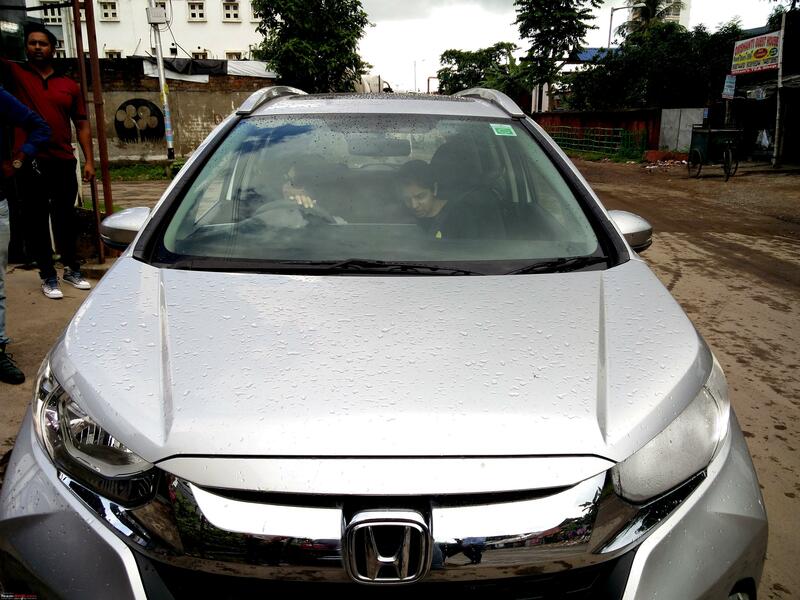 He became a fan of the Honda after driving my Brio. 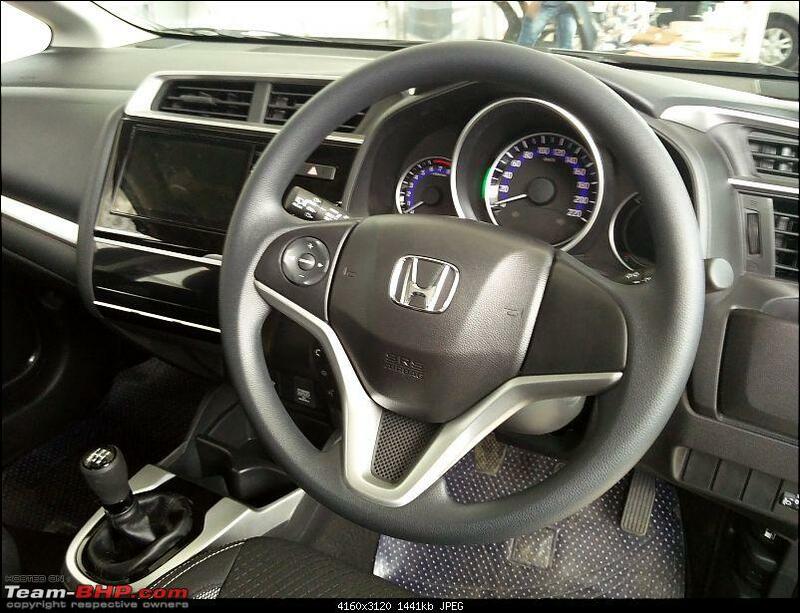 I am torn between the testdrive I took for the Jazz CVT and the WRV MT (both petrol). It's the suspensions of the WRV that's really throwing me off. I can't seem to find any matching reviews, but for me the WRV rolled like a boat and I felt a strange nausea even on the short testdrive which had a fair bit of speedbumps and rough roads. The Jazz on the other hand was much smoother, and most likely due to the less ride height, did not roll at all, was much more comfortable. Whats confusing me is every review I have come across praises the WRV to be better in ride comfort than Jazz due to the stiffer suspension. Anyone else felt the same? What am I missing? 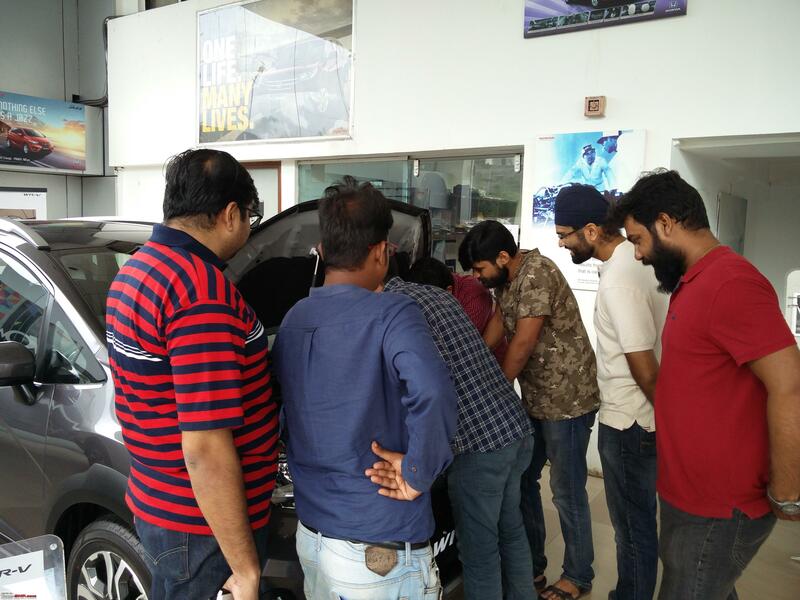 Did you check the tire pressure on the WRV when you test rode it ? If the tires on the WRV you tried were over inflated it could lead to a bumpy ride. We booked a WRV today. It was a quick decision based on the fact that it was going to be driven by my father and the only other passenger would be my mother. She has had a knee replacement surgery and needed a higher seating position. This was the only criteria when we started to look around 4 days back. 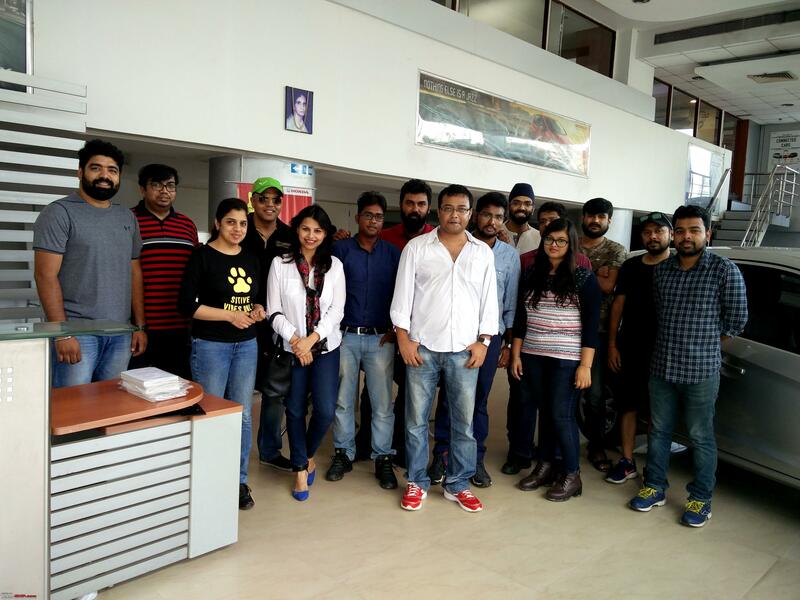 We tried Vento, Ciaz, Brezza, S Cross, Dzire and finally the WRV. Finally went ahead with WRV as I found the overall fit and finish to be miles ahead of the Brezza. All other cars were rejected due to low seating. We booked the top end 1.5 L Diesel version and hopefully will be taking delivery this week. One very important point in favour of the WRV was that the footwell is not deep so my mother does not need to pick up her legs while getting out of the vehicle. Getting in is already easy due to the higher seating position. The Brezza had pathetic plastics and a deep footwell. Folks looking for a comfortable vehicle for seniors should definitely check out the WRV. Last edited by Traveler : 24th December 2017 at 22:39. Possibly. That would certainly explain the ride though it did not cross my mind until I read in this forum that the dealers tend to over-inflate the tyres. Anyway, we ultimately booked a Jazz since the comfort of AutoTransmission won out even though the Jazz is a good bit old now (that stoneage Audio system ). Is there an accessory we can purchase to use CD/DVDs ? How do Honda owners manage ? CD/DVD are dead; it's the age of the phone and pendrive. I don't miss a CD player and don't buy any CD's. I subscribe to Apple Music, you have Saavn, Gaana, Jio Music etc make playlists and enjoy. You can use Bluetooth or the Phone USB cable if your phone runs out of juice. I don't play video's in my car. Last edited by Durango Dude : 28th December 2017 at 21:42. I agree on music stuff, but for spiritual content brought on CDs, has anyone tried stuff like The HP USB external DVD RW drive ? There is lot of stuff which will take decades to be on cloud. I have downloaded songs from internet and converted them into MP3 format, they are stored on my phone. I connect my phone via BT to play the music. 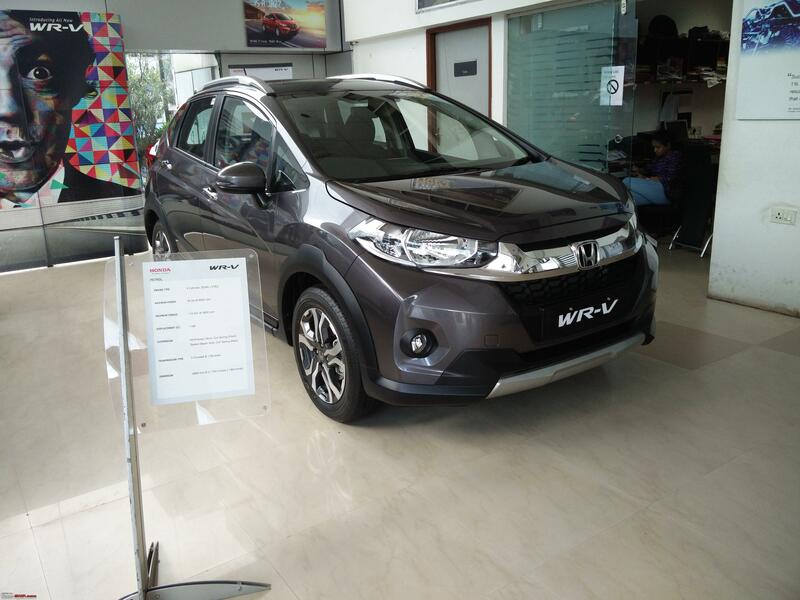 The WR-V does not have a bumpy ride and is very comfortable for senior citizens when compared to its competitors. I have driven my car now close to 10K and it is the best car I have owned after Rapid and Accent. Last edited by deehunk : 29th December 2017 at 21:41.